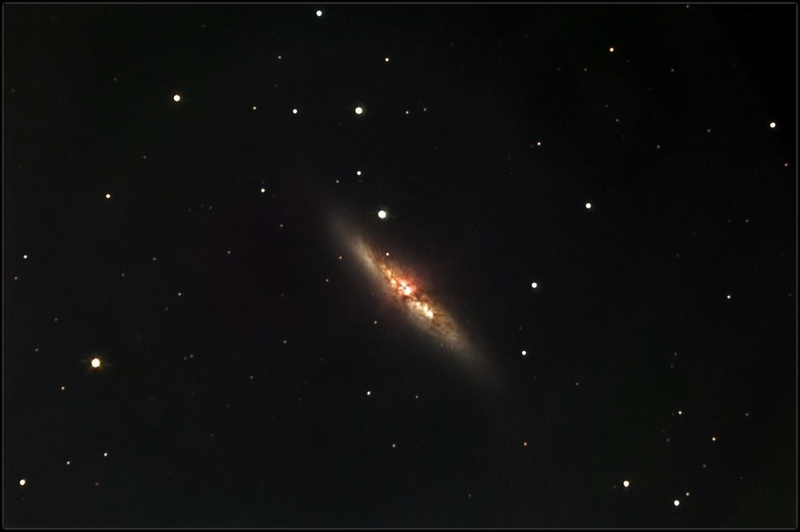 M82, the Cigar Galaxy, is a galaxy whose shape has been distorted by a close encounter with relatively nearby M81. Both galaxies are approximately 12 million light years from Earth. 60 minutes each of Red, Green and Blue, 2x2 Binning.